Die „neue“ Version des Apple MacBook Pro 13“ ist eine runde Sache und mit Abstrichen eignet sich das MacBook auch zum Spielen. Dabei trübt nicht die Hardware den Gesamteindruck, sondern die Außentemperatur des Gerätes und die Lautstärke des Lüfters. Ein weiterer Punkt ist, dass das weiße MacBook technisch identisch mit dem MacBook Pro ist, jedoch einen knapp 200€ günstigeren Preis hat. Apple products tend to be tough to give a conclusion on. There’s the style factor, the (lack of) value factor, the fanboy factor, the OS X factor (for Macs), etc. Macs are divisive products—the people who use them love them, but for every person that loves a Mac there’s two more that wish all things Apple would burn in hell. So lets start with the easier part of the conclusion: if you need an OS X portable and think the MBP15 is too large, the 13” MacBook Pro is the one to get. 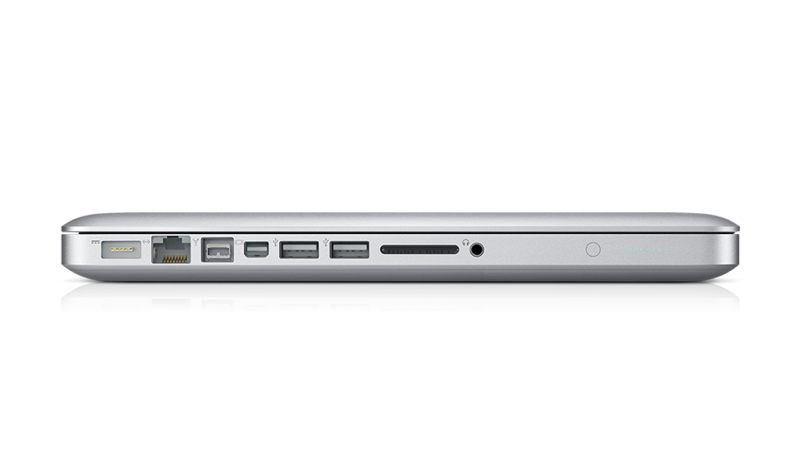 Apple's 2010 revision of the MacBook Pro 13 falls short of what the company did for its larger siblings. Performance lags behind because of the dated Core 2 Duo processor. It only makes sense to get this current model if you need the long battery life in a compact form that includes an optical drive and durable design. The price is a bit high for the performance and I would really recommend holding off until Apple finally brings the Core i3 processor to it. You can save half a kilo on the 15in version with the 13in Apple MacBook Pro, although last season's CPU and integrated graphics means you lose the faster performance. Yet the baby MacBook Pro still offers build quality, attention to detail and software unmatched by comparable Windows notebooks. 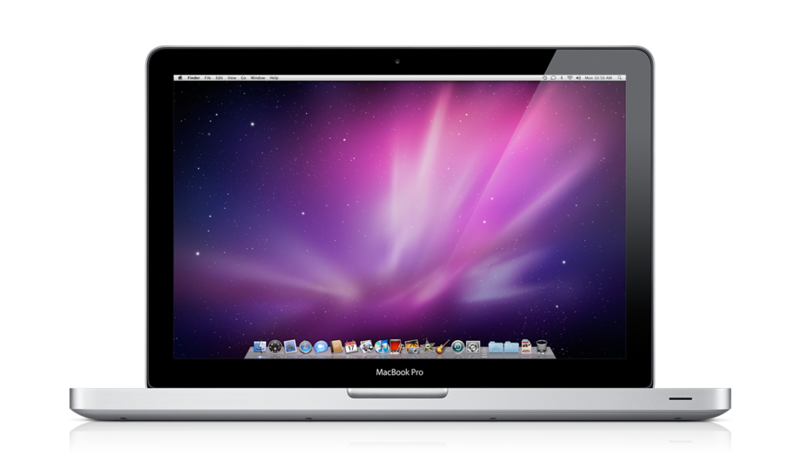 The MacBook is a powerful laptop for its size, both in terms of processing power and graphics power. The RAM is a bummer, but generally not a deal-breaker. 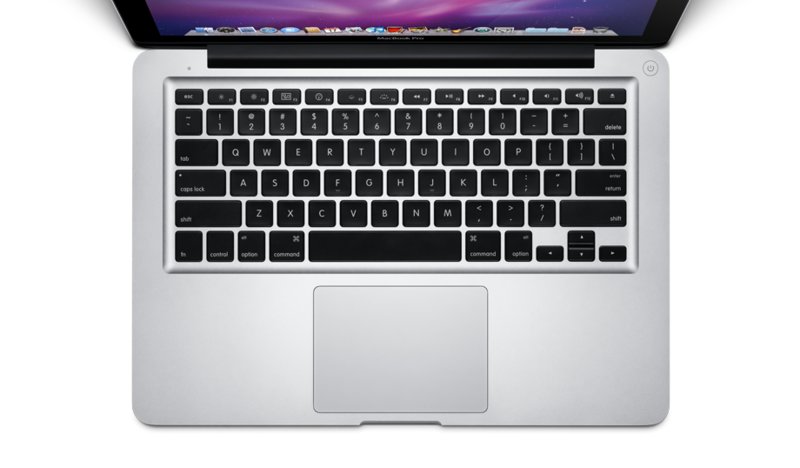 The MacBook is more expensive than most PC laptops of similar size, but it should be. Most 13.3 inch PC laptops are inferior in performance, display quality and overall build quality. Those few that are similar to the MacBook in these categories are typically no less expensive. The mid-2010 13-inch MacBook Pro refresh represents a welcome upgrade for Apple's entry-level MacBook Pros, but retaining the Intel Core 2 Duo processors (for whatever reason) makes it a little underwhelming. We hope the dispute that kept the Core i-series chips out of this revision is quickly resolved, so the entire MacBook Pro range can leave behind the Core 2 Duos with the next release. The lower end of the Macbook range gets a boost. While the top-end of Apple’s current line-up of laptop models uses Intel’s latest Core i5 and i7 processors, this model, the two 13in models instead use the older and less powerful Core 2 Duo chip. Very pleasant to use, but not quite cheap enough or powerful enough to be good value. Thanks to its stellar industrial design, superior ergonomics, and above-average performance and battery life, the 13-inch MacBook ($999) is a compelling buy. Both price- and performance-wise, this notebook falls between Windows-based competitors like the ASUS U30Jc ($899) and Lenovo IdeaPad Y460 ($1,049), but beats both in terms of endurance. The main question is whether you’ll want to spend an extra $200 on the 13-inch MacBook Pro, which has an SD Card slot, backlit keyboard, more RAM, and a sleeker aluminum chassis. If you can live without these amenities, the new MacBook is a very good value. If you want Mac OS (and we can't blame you), and are on a budget, the MacBook is Apple's most affordable notebook. It's attractive, has a colorful and bright LED backlit display that's a great improvement over pre-unibody MacBook models and the updated graphics give the machine enough punch for light gaming. 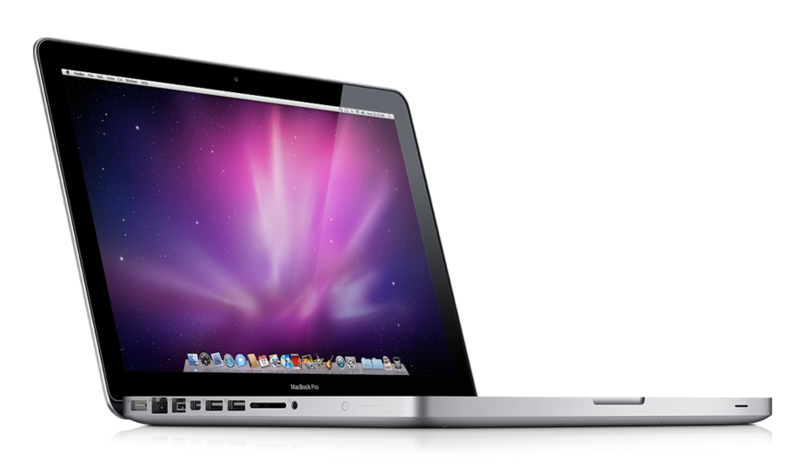 It's a fast and responsive machine whether running Windows 7 or Mac OS X, and the multi-touch trackpad is superb. If you're not wed to Mac OS, there are certainly compelling Windows laptops in the same price range with better specs, but few have the Mac's build quality. We do live in terror of the pure white finish that's scratchable and can stain. If you're rough on your computers, the MacBook unibody won't likely stay glossy and pretty for long. It is fairly impervious to dents and it is easy to wipe and clean though. Still, we wish Apple would find a way to toughen up the finish or move on to another one altogether (old black macbook, we miss you). Our advice? If you can afford $200 more, get the 13" MacBook Pro. You get so much more for that small sum including a durable metal casing, twice the RAM, a backlit keyboard, FireWire 800 and an SD card slot. Heck, upgrading the MacBook the RAM to 4 gigs alone will cost your around $120. The only drawback with the Pro version is the heat transfer through the bottom and to your lap-- it gets very hot while the non-Pro model stays cool. Apple fans will be enraptured, but poor battery life in Windows limits its crossover appeal. Updated components are all you'll get with the Apple MacBook Pro 13-inch (Core 2 Duo 2.4GHz) ($1,199 direct), but they can be compelling for many. If you bought the MacBook Pro 13-inch ($1,199 direct, ) last year, it isn't worth the upgrade. But if you're new to the MacBook Pro family, this is the ticket to portable computing bliss. Apple’s recent MacBook Pro update brought a long awaited processor update and new GPU options, but much of the attention was lavished on the larger models in the company’s professional notebook range. In contrast, the 13-inch MacBook Pro saw a more modest refresh; check out the full SlashGear review after the cut. Apple’s new 2.66GHz MacBook Pro sports excellent network connections but it’s not so great if you need to connect a lot of USB peripherals. Unless you genuinely see a need for extra speed and don’t want to step up to a heavier 15in model, you’ll be just as happy with the 2.4GHz model. Put the considerable saving of £250 towards peripherals, an extended warranty or virtualisation software, and also bear in mind that Apple doesn’t bundle any office software even at this price. Otherwise the 13in MacBook Pro’s battery life under light use is an attractive proposition that will see you through the working day. The 13-inch MacBook Pro is a fantastic laptop with better graphics performance than ever, but by opting for the older CPU’s, the 13-inch version isn’t the significant upgrade we wanted. At £1250, it's hard to recommend when you can get the regular 13-inch MacBook for £816, OK it isn't anywhere near as powerful, but is far better value. Alternatively if you stretch your budget to £1500, you can get the excellent 15-inch version instread. 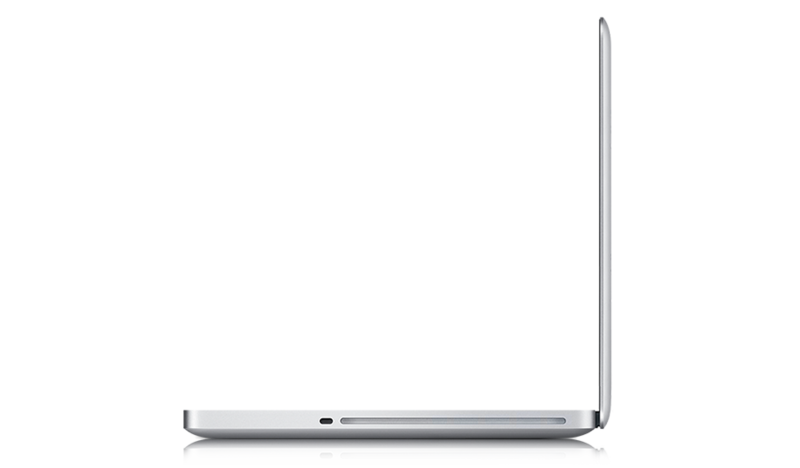 The 2009 version of the 13-inch MacBook Pro was one of our favorite laptops, providing a great combination of design, performance, and battery life in a thin chassis. The new 13-inch MacBook Pro uses a faster version of last year's processor, but a graphics chip upgrade and better battery life give it more value for the same price. By changing a few key components and optimizing them for its software, Apple has managed to once again drastically improve the 13-inch MacBook Pro. Not only does it perform much better than the previous version, its battery life has seen an impressive boost. If you’re looking to save a little money, the ASUS U30Jc-1A ($899), which has automatic switchable graphics, offers similar performance, but 30 minutes less battery life and a heavier chassis. Overall, though, the $1,199 13-inch MacBook Pro offers the best combination of performance, endurance, design, and smart software. If you already have the previous 13in Apple MacBook Pro, there's not a lot of reason to upgrade unless you simply must have the newest version of everything. The changes to the 13in line-up are mostly to do with improved graphics and battery life, and they aren't all that different from the year before - and it's somewhat hard to justify the £1,249 model based only on its larger hard drive and slightly faster processor, which didn't translate to much difference in our tests. To get the most from the new generation of MacBook Pros, you'll need to step up to the larger sizes, which take advantage of the Intel Core i5 and i7 processors and their own graphics improvements. At first glance, you may not notice anything different about Apple’s latest line of MacBook Pros, introduced in April 2010. The new models, which feature 13-, 15- and 17-inch screens, sport the same sleek, minimalist design, the same keyboard, and the same touch pad as the previous iteration. Apple takes what was already good and makes it even better, with the inclusion of a slightly better processor, improved graphics, and unbeatable battery life. NVIDIA GeForce 320M: Integrated chipset graphics card based on the GT216 core (e.g. GeForce GT 325M) but without dedicated memory. Supports Core 2 Duo processors. Non demanding games should be playable with these graphics cards. » Further information can be found in our Comparison of Mobile Graphics Cards and the corresponding Benchmark List.